We hear the numbers over and over again, 3,500+ children aborted every day in the United States, but because these children are aborted and never see the light of day, there is never a face associated with the little persons in the womb. Allow me to put a face on the children that should have been aborted due to doctor’s and society’s recommendations. 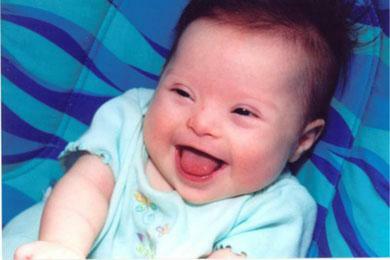 These children have Down Syndrome and make up approximately 1 in 800 births. Riley is now six months old and she is the happiest baby I have ever known. She has defied all the books and the people that said she would be “delayed”. My daughter is right on track. She does physical therapy, speech therapy and a little massage therapy throughout the week. (Her physical therapist is continuously amazed by her and can’t believe she has Down-Syndrome) Riley loves music, swinging in her swing and being talked to. But, she absolutely detests baths! 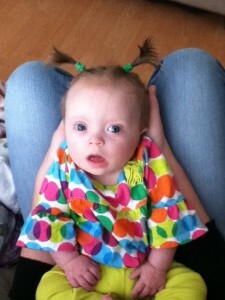 She also has two awesome big sisters who take such good care of her. I couldn’t be a more proud mother. 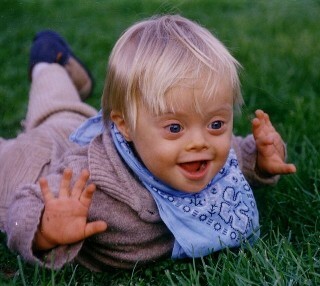 90% of the babies diagnosed with the possibility of having down syndrome are aborted. Please share this blog to help others see what gifts these children are, and to help spread the message that all life is meant to be treasured. you are concerned w/ these baiebs and their families being a financial burden on tax payers, why don't you put the SS﻿ on your left shoulder and form your own execution squads. I guarantee you these D.S. adults will hurt far less people in their lives than you will. I say the biggest burden are those who preach abortion and euthanasia.This contributes more pain to society and kills the workforce. You want to decrease the burden, look at yourself as a solution to end it.